Liberty Quest LLC, 9780985128708, 480pp. 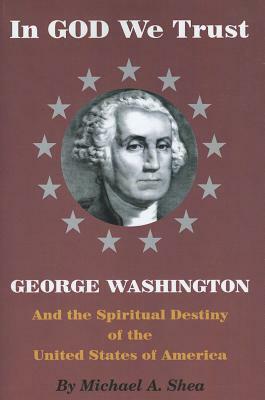 This book, In God We Trust: George Washington and the Spiritual Destiny of the United States of America, is a unique look into God's hand in American history (American Providentialism), viewed through the life of George Washington. The book reflects the providential view that Washington and the other Founding Fathers had of the God of history (God of Abraham) a God in whom they placed their trust, lives, fortunes and sacred honor for the country's future and their success in arms. The book attempts to document God's hand in Washington's life and the Revolutionary War using Washington's own words and detailing the numerous miracles that led to the country's eventual independence and subsequent Constitution. God's hand in the founding of the United States of America and its history is perhaps one of the greatest stories seldom told. The book also explores the country's reason for existence, God's purpose in the founding of the United States, and what it portends for our future survival as a nation.